According to MediaPost, 72 percent of American adults with internet access use social networking sites. Another study by eMarketer showed that 37 percent of social network users polled use social media to research brands, products, or services before making a purchase. People were skeptical of social media for business in the beginning, but with the explosion of social media over the last few years, you’d be hard pressed to find a marketing expert who doesn’t recommend social media as part of a holistic marketing strategy. That said, you may be wondering, what are the real benefits of social media for small business, and is it really worth the time and effort to build a social media presence if you’re just running a small operation rather than a big corporation? Short answer: There are plenty of benefits for small businesses in social media. Social networks are a cost-effective way to get your brand in front of fans and prospective customers. It doesn’t cost you anything to tweet a message, pin a product photo to Pinterest, or promote a discount on Facebook, so there’s no cost outside of your own time spent. If you do have money to invest, these channels offer advanced but affordable advertising platforms that you can use to target consumers with demographic, keyword, and interest-based campaigns. The highly specific targeting parameters offered by Twitter, Facebook, and LinkedIn can help you get the biggest bang for your marketing buck. When it comes to impacting your website’s position in search engines, you need to create optimized and compelling content if you want your domain to appear high up on the search results page. By sharing this content on social media as well, you can get in front of interested readers who may visit your website, like or share your content on their own social networks, and link to it from their own domains. Google and Bing both pay attention to social signals like this when they decide how to rank links on the search results page. If you’re looking for a way to field customer comments, concerns, and questions, then you are going to find social media to be extremely beneficial. Customers using one of the common platforms like Facebook or Twitter can communicate directly with you, and you can quickly answer them in a public format that lets other customers see the quality of your customer service. The impact of this activity can be huge: 71 percent of consumers who receive a quick brand response on social media say they are more likely to recommend that brand to other people. Social media is meant to be more like a cocktail party than a business meeting. You will always do a lot better in a social situation if you are more like yourself and less like a corporate robot. Social media is a great way to display your business’ personality, as well as behind-the-scenes information about you, your employees, your workspace, and more. When you humanize your brand in this way, it makes it easier for consumers to connect with you and develop loyalty. The fact that you are able to connect directly to the consumer means you can use this platform to also connect to other entrepreneurs and business owners. From possible strategic business partners to new distributors, social media lets you have real conversations with actual people who might otherwise be socially or geographically inaccessible in the real world. The idea behind allowing customers to correspond directly with you is so that they can get the best customer service possible. When this occurs, it happens in a very public forum that can be seen by other prospects. So when customers sing your praises to their friends, it not only boosts your online reputation, but increases the chances that someone else is going to give you a shot next time they need your services. 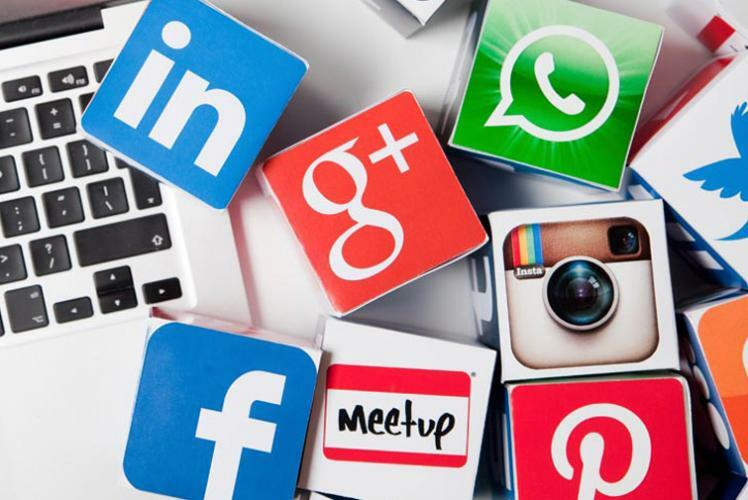 The true advantages of social media are the ability to get a leg-up on your competition by connecting with your current and prospective customers in an organic way across the web. If used correctly, social media can help you boost your search rankings, provide better customer service, craft a compelling online personality, connect with new business partners, build connections, and earn word-of-mouth marketing from your brand advocates. If you aren’t using social today, we recommend you start posting and start reaping the benefits of social media. Agreed! Most of the people use social networking site for socializing and expanding their businesses as well. Even a PPC Management helps in promoting and advertising your business on social media, which I think is a very effective and efficient way to rise up your small business.